Dutch outsider Kiki Bertens reached her third final of the season on Saturday as she wore down a tiring Petra Kvitova 3-6, 6-4, 6-2 at the ATP-WTA Cinicnnati Masters. The world number 17 defeated the two-time Wimbledon winner for the second week in a row after scoring a third-round win in Montreal. 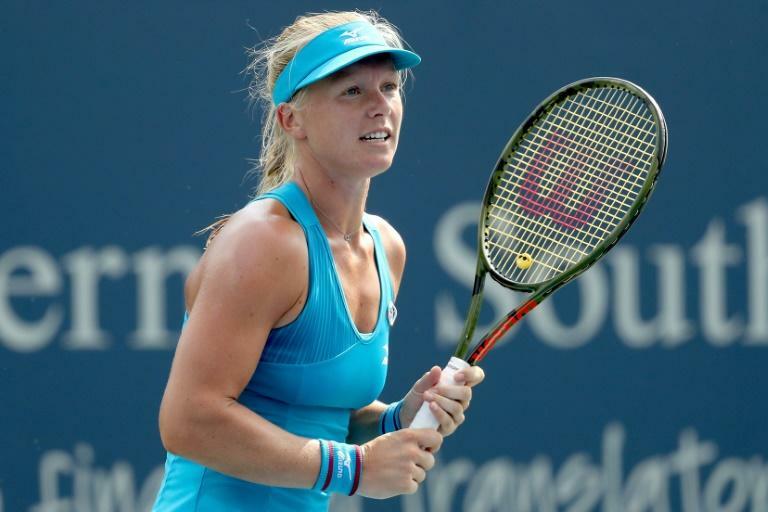 Bertens, winner of a claycourt title in Charleston earlier this year and runner-up to Kvitova in Madrid, will fight for the title in the last major US Open tuneup event against either world number one Simona Halep or Aryna Sabalenka of Belarus. Bertens, who played and won two matches on Friday after rain interruptions this week, looked the fitter of the two players in hot, humid conditions. "I'm feeling great, I'm so happy to win," she said after advancing on her first match point as Kvitova slammed a forehand into the net. "It was a tough match, but I'm so glad to be in the final. "Over the last 12 months I've improved. We've put in a lot of work to get me more fit, to play more aggressively. "It's working out, I'm going for my shots and serves and keeping my nerves calm. I don't care who I play in the final. I'm up for a good match tomorrow."